Why do some students not get their MenACWY vaccine? When I first started university, my knowledge of meningitis was limited. I had perceived it as some kind of flu-like virus, which - like having a cold - was a temporary issue, and that could only be life threatening back in the Middle Ages. After moving into halls during Freshers’ week however, I started paying more attention to it due to the amount of information being thrown at us through flyers warning us about the symptoms, talks about self care and health, or emails urging us to get a flu and meningitis vaccination. Luckily enough, my university offered them for free. Still, after getting the vaccinations, I imagined meningitis to be a form of the so-called “Freshers’ flu” and nothing more, something that wasn’t my concern because I generally took care of myself. I got my vaccination and didn’t think about it again - the same as my peers. A few years later I started working for Meningitis Research Foundation, and started to learn about the seriousness of the disease. Meningitis is a potentially fatal disease, which acts fast and is hard to detect. Nearly 320,000 thousand people worldwide were killed by meningitis in 2016, making it the sixth largest infectious disease killer globally. After gaining more knowledge and understanding all the shocking facts, I’ve learnt that there are still so many myths surrounding the illness. Meningitis can be caused by infectious agents such as bacteria (including TB), viruses or fungi. Some symptoms of meningitis can be mistaken for a flu or migraine, and the commonly associated "rash" does not always have to be present. Different types of vaccines are the best way of prevention and are needed through all stages of life. The disease can affect any age group, not just babies, as is commonly believed. Worryingly, in 2017 one in four (25%) young people still did not realise that meningitis is contagious (COMO, 2017). It is of pressing urgency that the number of young people with wrong information and lack of access to vaccines decreases. Adolescents and new university students are more susceptible to the disease, due to many of them mixing closely with groups of new people, some of whom may unknowingly carry the meningococcal bacteria at the back of their noses and throats (NHS). 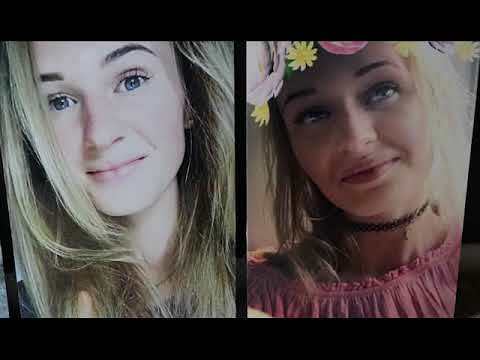 To paint a vivid picture of the dangers of this infection, please watch the heartbreaking story of Lauren Sandell, who had sadly passed away after only two weeks of university. At MRF, we work tirelessly to help young people overcome these obstacles, attending numerous Freshers’ Fairs throughout the country in order to provide helpful information, and campaigning for greater awareness of (and access to) vaccination. Please follow our Twitter to find out whether we will be coming to a university near you. No obstacle, which may be overcome, is worth risking your life and health for. You only have one life and this one shot could prevent you from losing it. Not sure if you’re eligible? Click here to find out. Why do you think some students don't get their vaccinations? Hi, I’m Rachel. I currently study Sociology and I'm working on a summer placement for Meningitis Research Foundation in Bristol. I'm helping Danielle Duggan as a Junior Community Engagement Officer. We take care of anything in the area of Membership and Communications.